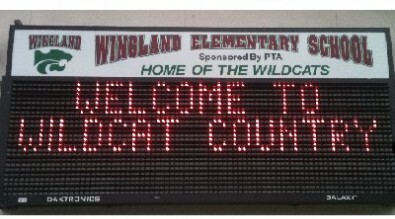 I am a Wingland Wildcat! I will do my best to be the best; I will make choices that help me succeed. I am the person in charge of the choices I make. I choose to learn, I can learn, I will learn. Wingland is Wild about Attendance! Our goal is to be as close to perfect as possible! Check out our new attendance boards in the office! State testing will be April 24th and will go through May 17th. Please make sure your students come to school everyday, on time! Also, plan your appointments around testing as we CANNOT interrupt classes during this time.